This is the story of the channel manager who about once a year changes jobs. In this business, people change logos often. Even more now with all the consolidation and layoffs. It's a joke at trade shows: "I'm here just to get your new business card." Mojo Marketing is blogging the 12 Days of Telecom Marketing! I was the guest blogger for Day 5 about Email Marketing. In summary, when people see your email they shouldn't say, "What?! Another one from this guy!" They should say, "Oh, I wonder what he has to say." I gave it a shot at podcasting some of the news tidbits. It's 5 minutes. Let me know what you think. Thanks! Alpheus is going from wholesale to Enterprise. For Agents that just don't want to go cloud, there are some alternatives. In my latest book, SELLECOM 2: Selling Cloud Services, there are a few products that Agents can sell that still fall inside the Replacement services umbrella. T1, broadband, cellular, voice are all replacement services for the transactional agent. That road is bumpy. There is a CRM system that comes with dial-in help (as the Optional VIP Sales Assistant Support of the Gold package). That's right! Salespeople can call in to an assistant that will type in the info and ask for whatever info they need from the CRM system. It's called Landslide and it was just acquired by J2 Global which owns eFax. 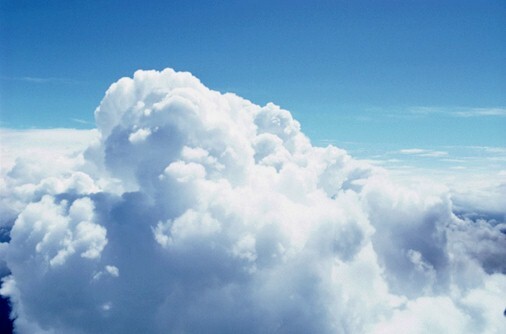 Will It Rain for EarthLink in the Cloud? EarthLink is really pulling out the umbrella to get it to rain in Cloud. EarthLink picked up XO's former CMO, Michael Toplisek, as EVP of IT Services. The press release says that he was President of Concentric Cloud, but that was for a hot minute, since XO only rolled out that brand 2 weeks ago. He's not a cloud guy - he worked at XO, Global Crossing, MCI and Frontier - all telcos.